MG Magnette ZB racing, 1958. 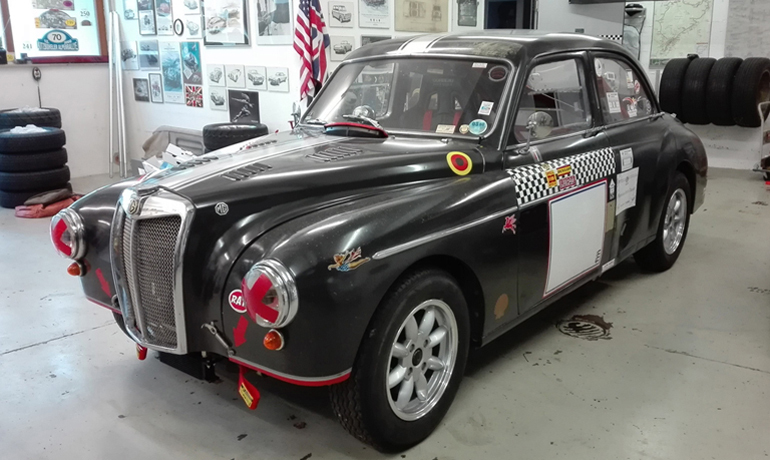 This RHD MG Magnette ZB Racer was built in 2010 in Germany to Annex K specifications. The car has a 2010 German HTP (Series Production Touring Car, Class T3, Period E for Circuit, Rally and Hill-climb). This car was mechanically top-prepared, regardless of costs, however the appearance of the car was chosen to look as an "unrestored" condition. The Magnette has a German H-road registration. • Currently fitted with a new MG Stage-2 Skip-tune engine. • Fitted with 5-speed gearbox with reinforced race-clutch. • High performance radiator and electric fan. • Custom-made exhaust manifold and exhaust system. • 2 x SU HD4 carburators with Maniflow intake-manifold. • 60 Litre aluminium fuel-tank with safety foam, 2 Facet fuel-pumps. • Lowered suspension, stabilizers, Sport front & rear springs and adjustable SPAX dampers. • Minator rims with Avon racing-tyres. • Alloy finned drum-brakes, recently fitted new brake-liners. • The complete wiring is secured with 8 circuit breakers on the dashboard. • FIA Roll-cage by Herrmann, Notzingen. • Macrolon rear- and side-windows.